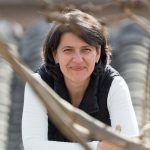 Bianca Teti is an experienced marketer and management consultant with 13+ years of international experience in Media and Telecommunication Industries. 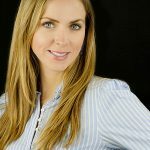 Her unique ability to merge her background in psychology with her decennial experience in technology allowed her to become an expert in customer technology acquisition and customer retention. She is currently consulting top management of international companies in China on challenges like marketing and communications strategy, team performance, group dynamics, digital transformation, go-to-market strategy and leadership development. As a mentor, Bianca brings a broad range of experiences around Career Change, Personal Development, Leadership Development, Team Performance, Marketing and Communications and Digital Transformation. Elizabeth Mawson has worked as an educator and translator for over 15 years. Prior to her move to Beijing for Harrow, Elizabeth worked in the UK at several leading prepatory and international schools. Her passion for languages has been a driving force in her career and she has taught German, French, Spanish, Italian as well as general and business English. As a life long learner, she’s continued her professional development in areas such as Certificate in English Language Teaching to Adults from University of Cambridge and Study Abroad Programs from Universitat Augsburg in Germany. The use of technology in teaching has always been an interest and in partiuclar apps for iPhones and iPads. As a mentor, Elizabeth can share about working in a team – how to lead by example. “As a manager, I would never expect anyone in my team to do something that I wouldn’t be willing to do myself.” In addition to understanding what the job actually is: a job title is one thing, but do you really know what the job is? Knowing your role better helps you to be happier at work and know when to step up and how to say no to things that are someone else’s responsibility. Personal achievements – working on yourself so that you can work with/for others. Thousands of leaders have gone through programs and experiences created by Em. From Canada, and based out of Beijing for twelve years, she is the passionate founder of two brands. Circles2 (2010) is a diversity and inclusion consulting firm working with leaders and managers to be more inclusive and build cultures of diversity where innovation will thrive; and Inner Circles (2015) offers experiential programs for women to grow personally and professionally. She’s worked with leading global organizations and is regularly called on to discuss women’s development and diversity and inclusion by business organizations, academic institutions, and governments. She is often invited to speak, moderate or MC at leadership summits, women in leadership conferences and diversity symposiums. As a mentor, Em can share her experiences starting/running a business, designing a life you love, thriving in challenge and change. Charlotte is an entrepreneur in the field of education. 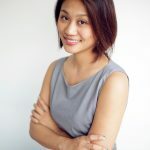 She is a Senior Partner of Venture Education, a Beijing-based British consultancy with 3 areas of focus: enterprise & entrepreneurship education, UK-China education partnerships and girls’ and women’s education. She also directs the Flourish Project in partnership with a local education bureau to deliver original programming to over 20 public middle and high schools in Beijing. Additionally, she is a Forum Chair at the British Chamber of Commerce and runs an annual initiative to cultivate leadership, creativity, communication and entrepreneurship skills in young British and Chinese professionals. Across all areas of her work, she endeavours to help people to develop the confidence to make ideas happen that create value for others. As a mentor, Charlotte brings a tremendous range of skills in Project & People Management, Event Planning & Coordination, Education & Programme Development, Team & Community Building, Girls’ & Women’s Empowerment, Creativity, Confidence, Collaboration, Communication, Problem-solving. Current Role: Counsellor & Psychotherapist/Wellbeing Consultant, Hill Dynamics Ltd.
Titi Hill is a counsellor and psychotherapist registered with the British Association of Counselling and Psychotherapy (MBACP). She has a Bachelor’s degree in Integrative Counselling from the University of Surrey. She has been trained in the area of mental health with the National Health Service (NHS) in the UK and possesses over 13 years’ experience working in primary and secondary schools, youth services and adult based settings in Europe and Asia. She is an intuitive, resourceful bilingual Mental Health Professional with a creative, empowering approach to counseling and building instant rapport with clients. She is highly regarded for her community/parent engagement abilities and expertise in youth, workshop facilitation, curriculum development, and counseling applications in educational contexts. She recently set up a company, Hill Dynamics Ltd, with her co-founder, Ben Hill. Hill Dynamics is a wellbeing consultancy that provides a wide range of services to help people grow, enhance relational wellbeing, and strengthen connections at work and home, including designing customized training packages, parenting workshops, and conflict resolution meetings to promote individual and organizational health and emotional wellbeing. As a mentor, Titi can share her experience around Client Relationships, Collaboration, Communication, Customer Relations, Customer Service, Leadership, Problem Resolution, Relationship Building, Training, Talent Management, Team Building, Time Management and Holistic Wellbeing Training. Barbara is an Entrepreneur with two businesses in the retail design and lifestyle sectors (20 employees) that focus on building up, designing, marketing and operating brands. From 2008-2012, she was the Country Manager for Austrian luxury jewelry brand Frey Wille, responsible for China and supporting the Asian region. Opening and operating stores; budget and people management. 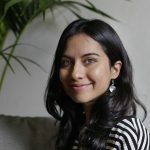 As a mentor, Barbara brings a wealth of experience and ideas around entrepreneurship, building up a business, industry-related skills (retail, design, marketing), general management, people management and client management and life skills – how to balance different aspects in life, soft skills, personal growth. Eike is a dedicated leadership, team, personal coach and facilitator with 15+ years’ experience living and working in Germany and Asia. Eike came to coaching following a solid career in Sales, Project Management and Controlling in a multinational company. Beijing-based since 2014, Eike‘s area of focus is on individual and team coaching. She has worked with clients in the automation, automotive and mobility industries, small businesses and NGO. Eike’s passion is helping people adjust to new situations, find their own resources and to empower them to reach their full potential. Her approach to coaching mirrors her approach to an intercultural environment – creative, flexible, courageous, and adaptable. Her style is inspirational, intuitive, and supportive. This intuitive approach and her strong ability to connect with clients, encourage clients to get clear on their goals and to achieve them. 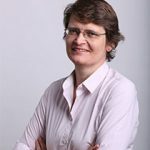 As a mentor, Eike can share her experiences and thoughts around change management, personal and career development, leadership development and team developement. 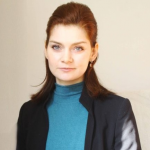 Martina has more than 25 years professional industry and consulting experience in Europe, US and China. 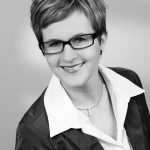 She has held senior positions at leading multinationals such as Siemens, Daimler, BMW, BASF, and KPMG. Her professional experiences include Regulatory Affairs, IPR, E-Commerce, Supply Chain Management, Innovation and Technology Management, Financial Services. As a mentor, Martina can share her experiences working abroad, career change, career in technology and innovation. 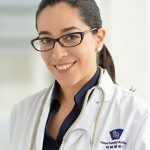 Dr. Melissa Rodriguez is a registered naturopathic doctor with the College of Naturopaths of Ontario. She completed a Bachelor of Health Sciences at Western University, and then enrolled at the Canadian College of Naturopathic Medicine. In 2005, she graduated and successfully completed the Naturopathic Physicians Licensing Examinations (NPLEX) managed by the North American Board of Naturopathic Examiners (NABNE). From Australia, Tracy has over 20 years of leadership experience in China. Tracy is a Transformational Leadership Coach and Heads up the coaching practice for The Leadership Group in Beijing. 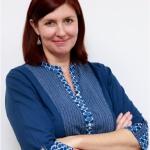 Drawing on 20 years of professional experience in coaching, executive search, marketing and communications, Tracy heralds from Australia and has been based in Beijing since 1996. Tracy is passionate about developing people and is a skilled leader, executive coach and facilitator, and communications practioner. Through her unique life experience Tracy has developed the ability to make strong connections with people from different cultural backgrounds. She has worked with high level leaders and managers in automotive, technology, FMCG, advertising, marketing, media, NGO’s, retail and consumer goods industries in China and the region. Tracy aims to help people and organisations make positive transformations and achieve their full potential. In all her work, Dalida is driven by a profound interest in what moves and motivates people. She believes in big change through small steps, whilst keeping the body and mind in balance. As a practitioner of internal martial arts and mindfulness Dalida actively applies the principles of Eastern philosophy in her coaching and consultancy. She is the founder of the Beijing Mindfulness Centre which dedicates to provide a safe and inspiring environment for learning and growth through mindfulness practice. Following her mission to bring mindfulness to the streets Dalida published “Mindfulness for Beginners” with aim to support parents and children in their mindfulness practice. Siana has worked as a Business Process Consultant, in Human Resource Management and Employee Engagement roles for large organisations in Australia. 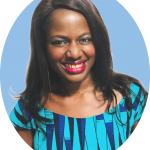 She’s also worked as a Freelancer for small businesses and is currently in the process of launching her coaching business for Women called Embrace Your Wild – for Women, Especially Mothers wanting to dive into accomplishing goals for themselves and living their best lives. Her experience in working with diverse organizations from opposing ends of the spectrum such as not-for-profits, educational institutions, public sector organizations and professional services firms gives her unique organisational development insights and what is possible through positive transformation. Siana has a passion for learning and travelling. Over time, it has given her the open-mindedness and insight to connect with people instinctively. As a mentor, she can assist someone that is looking to make a big transition in their life. Enoch is a social entrepreneur and founded BEARAPY. The mission is to reduce burnout and mental health issues in the community and workplace through helping adults access their inner playfulness. Enoch works with multinationals, governments, and start-ups across Asia-Pacific and Europe, advocating emotional and mental health awareness. 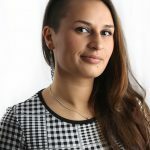 She has helped thousands of people through play workshops and talkson communicating with depressed people, raising awareness in the society on mental wellbeing. Her work has been widely recognized in the society and she was awarded the Social Contributor of the Year 2018 Award by the International Professional Women’s Society in China.